Illuminations is a novel about Hildegard von Bingen, a woman who lived in the 11th century who had the gift of prophetic visions. Sickly, she was the tenth child in a large family. At the age of 8, her mother gave her as an oblate to a young woman who desired to be an anchorite, Jutta von Sponheim. Together, the two were sealed in a corner of a monastery to live a pious life. Under Jutta’s tutelage, Hildegard is taught to read and write, tend a small garden, and interpret the Bible. Hildegard was forced to watch the extreme and zealously obsessive religious behaviour of Jutta. All the while, she experiences visions which are visitations from the Virgin Mary. At first, no one believes her visions and they are treated with skepticism. So Hildegard kept her visions a secret, but wrote about them and their meaning in a journal. 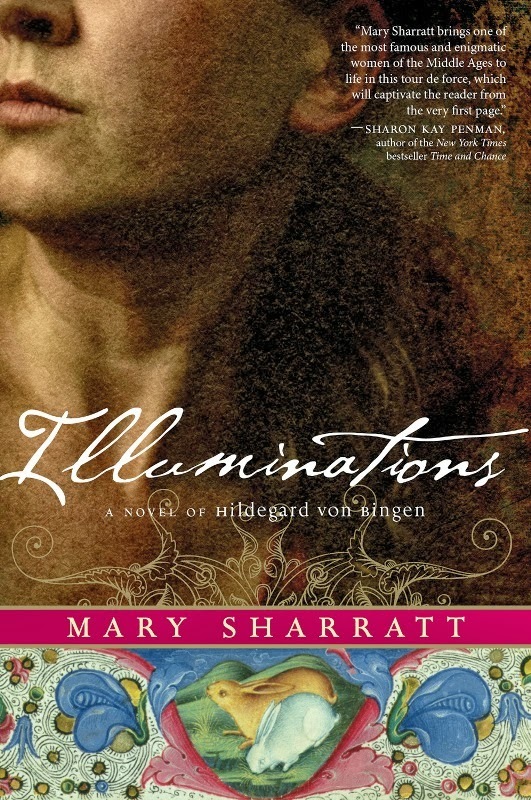 The book is gripping and author Mary Sharrat excels at bringing Hildegard’s thoughts and experiences to the forefront in a realistic manner. The novels gives us a look into the religious beliefs of the time, including those who were considered fanatics and zealots. It is a poignant story of a woman who suffered deprivation and enclosure, denied the ability to enjoy nature and grow to womanhood in the outside world. Brilliantly written, I highly recommend this biographical novel, not only for its historical depiction, but because it is a darn good tale that holds a reader’s interest from start to finish. For more information please visit Mary's website and blog. You can also find her on Facebook and Twitter.